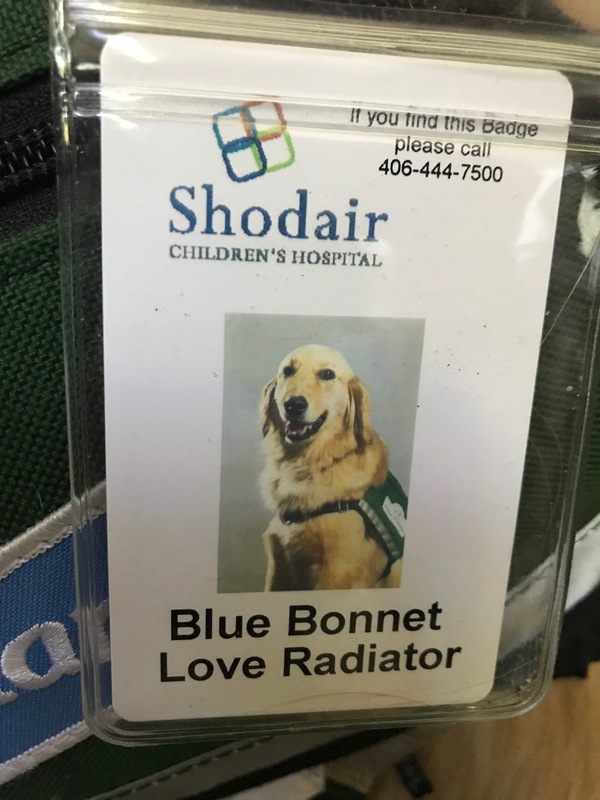 Blue Bonnet has an official badge as an employee of Shodair Hospital. Her job title on the badge is the Love Radiator. Blue Bonnet goes by “Blue” at the hospital and her presence generates a lot of smiles, hugging and petting from children and staff and a sense a calmness in the units. The work that Blue Bonnet does is simply love everyone just as they are – with no conditions or judgments. Blue has the training and ability to be with me in a meeting and fall asleep. She somehow knows when the meeting is getting too intense because she will chime in with her perspective and let out a snore and we all start laughing. It breaks the tension and calms the room. Her effect naturally creates a sense of grounding and call to the basics of our humanity. Our patients love Blue. They are learning to be safe with Blue and to keep her safe with boundaries and hand sanitizer. There is nothing more rewarding than hearing children call Blue’s name with glee and come running to pet, hug or try to teach her to retrieve. Since she is a golden retriever, we would expect she would love to retrieve, but not so – she would rather be petted or crawl into a person’s lap. After all, she is the Love Radiator. When Blue Bonnet is at the hospital, she takes her work serious and is ready to go home at the end of the day. When her Shodair working vest comes off, she’s a dog and often will ground herself by rolling around in the grass. She loves hiking in the mountains, going on long walks and finding her own canine pals to play with and release energy. She is only two years old and still has a lot of puppy in her! Blue Bonnet has taught me so much on my spiritual journey. I remember hearing from canine assistants – don’t limit Blue Bonnet’s love. Blue is generous with her love and I am learning to be generous with her love. As a result, I am more generous with my love and less judgmental or selfish. As a result, she has softened me to radiate the love and light of Christ within which seems to flow so naturally through Blue Bonnet – God’s wonderful creation. 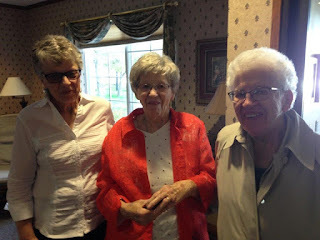 S. Janet Thielges (right) with sister Marie (center). Well, God, maybe something for me. Grief winds in and out. “You don’t get over it. Yes. Thank you with all my heart! In these wonderful summer months when we care for our individual lawns, gardens and homes, how about extending that care to our Common Mother when we are tempted to toss garbage out of car windows, on the beaches or wherever? A little challenge? Yes, but when we consider how one tiny step begins the walk of a mile, we may yet take a serious look at how our consumerism, our grasping of more and more, better and bigger products, depletes the total supply, dulls or destroys our need to discipline our individual tastes. We may be given a kaleidoscopic view of the hungers of the poor, among them our Common Mother Earth. She wants to save us; when and how do we plan to save her? Today? This summer? We must become responsible, merciful, thoughtful in returning that care and help save her! guest at Gratitude Day 2017. 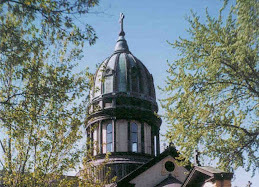 If you would like more information about our monastery, please contact Sister Lisa Rose at lrose@csbsju.edu.